Please click on the buttons below to view and/or download most of the resources you will need as a First Year Scout and family. Your First Year Scoutmaster is Mr. Andy Biancardi whose email is fysm2019@boys.troop890.org or andrew.biancardi@gmail.com. Please read (and download) the info letter to the left, and then click on the 5 buttons below to get started. Click on the image to download and print this info sheet about your first 100 days. 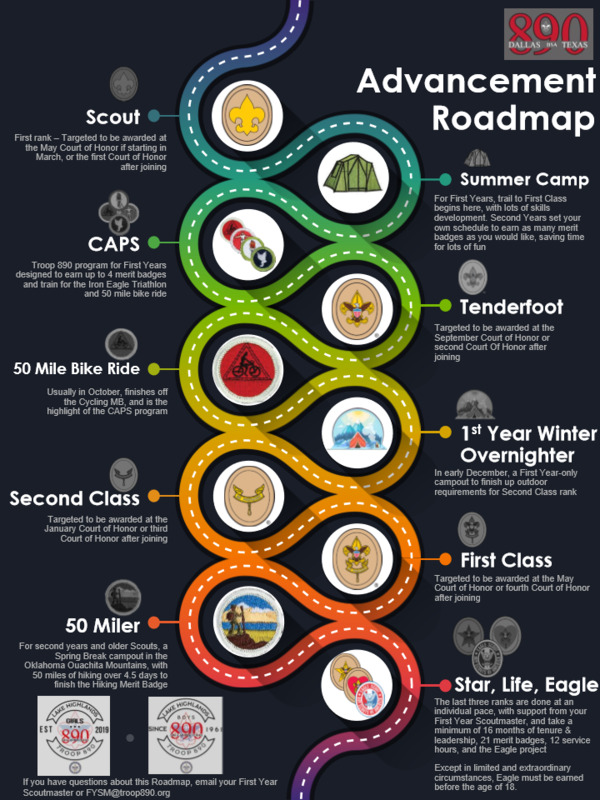 Here’s how our program works to help Scouts advance and learn! Click on the image to download an overview of a typical 890 year.